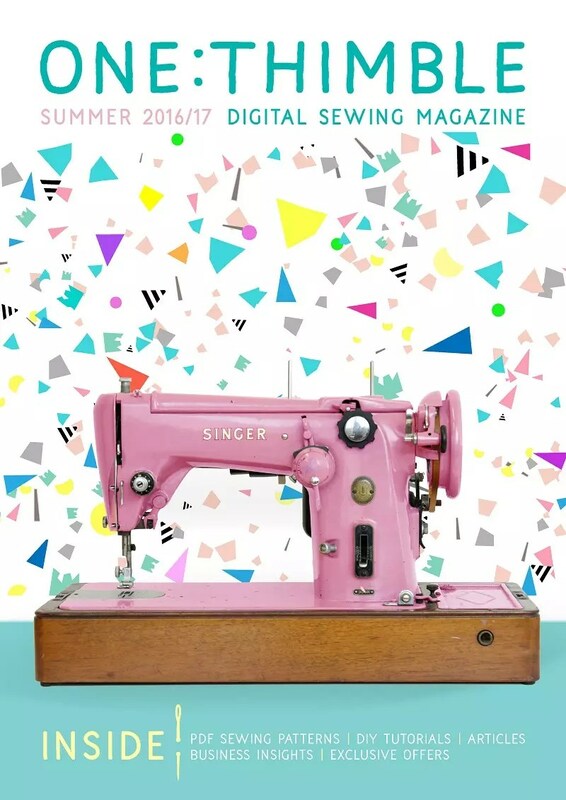 My lovely friend Jen has just released her latest issue of One Thimble digital sewing magazine*. 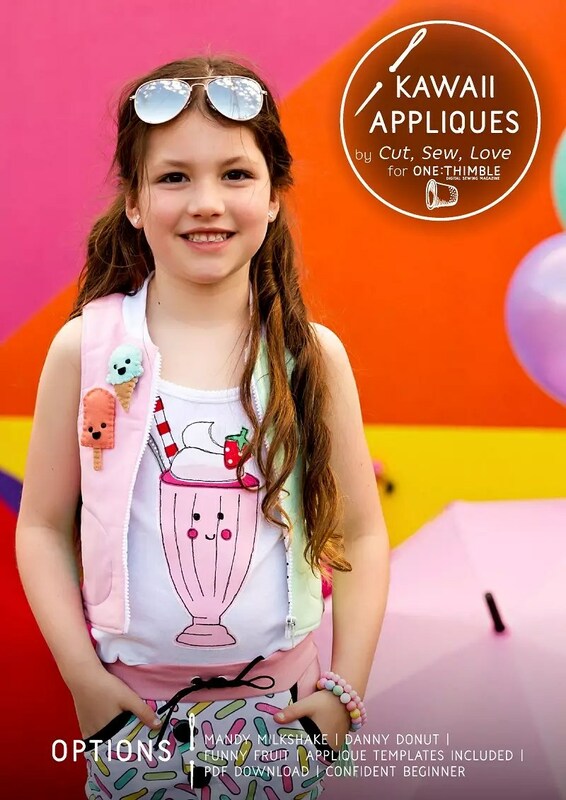 Themed ‘Pastel Pop’, this fantastic publication is packed with so many fantastic articles and a whole bunch of terrific PDF sewing patterns too. Here’s a PREVIEW if you’re after a sneak peek into Issue 13. *This post contains affiliate links. If you purchase the e-zine via this post, I will receive a small commission. This enables me to continue bringing you free tutorials, patterns and more. So thank you for your support! I love sharing when this magazine comes out each quarter, because I am such a big believer in what Jen is promoting with One Thimble magazine. She’s all about inspiring confidence in your sewing. And I love her ‘how hard can it be?’ attitude. We all need a little confidence boost every now and then. One Thimble does just that! I also love the way Jen showcases small business owners and supports our wonderful handmade community, while bringing you a beautifully and professionally presented product. I love being involved with the magazine, and I’ve contributed a number of patterns to different issues. But every issue is always amazing, so I just wanted to share it with you incase you haven’t come across it before. With a retail price of $25 Aussie dollars, this mag is excellent value for money! I love the Kawaii Applique and Felt Charms in this photo! 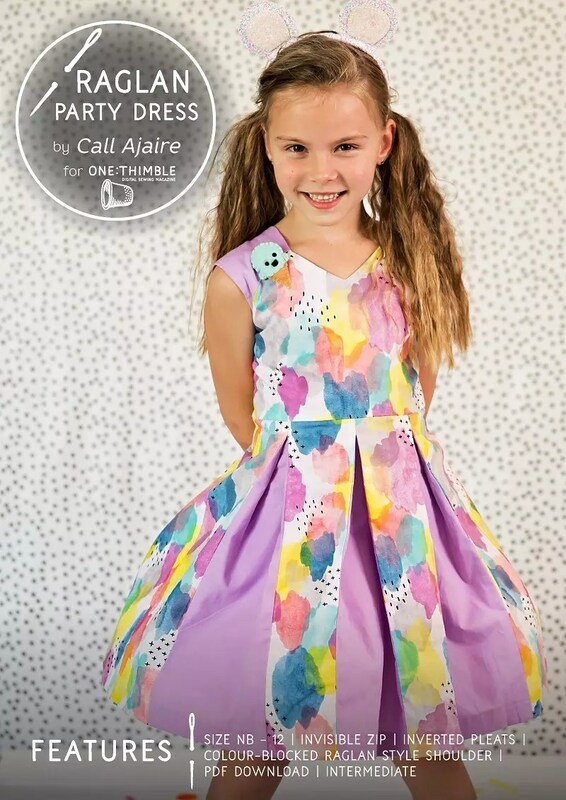 The party dress pattern in this issue is super fun and flouncy! And of course, you know me and my felt love affair! So I’m keen to sew the Kawaii felt purses too! If you make a purchase, you receive a zip file that contains the whole magazine and then all the individual patterns. So it’s easy to read, to store, and to find your favourite patterns at a later date. See, I told you it was amazing! You can thank me later.